Sega retools the Genesis classic with help from Sonic CD's Christian Whitehead. Up until recently, Sega relied on crude emulators to bring its classic games to mobile. 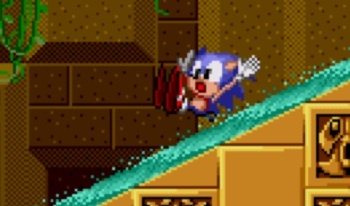 That changed in 2011 with the release of Sonic CD [Download: iOS/Android], a fantastic port of the Sega CD hit spearheaded by independent programmer Christian Whitehead. On that note, the publisher announced plans to give the original Sonic the Hedgehog a much-needed makeover on iOS via free update, and once again, Whitehead's at the helm. This new edition will completely wipe away the current version, replacing it with a widescreen-supported, 60 frames-per-second Sonic. 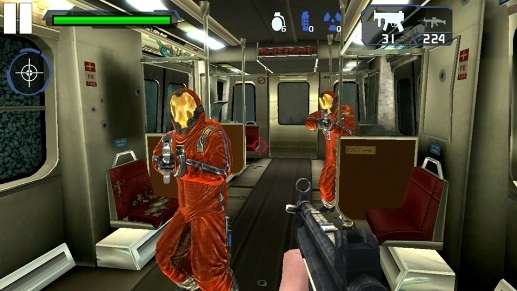 In addition, the developers tweaked the controls, re-mastered the soundtrack and added a time attack mode. Finally, and to sweeten the deal, Sonic is on his way to Android. Both versions will sell for $2.99, and if you already own the game on iPhone or iPad, you'll receive the update free-of-charge. Bottom line, we really enjoyed Sonic CD, and look forward to downloading a superior version of the game that started the blue blur's historic career. Look for it this spring.